Aito Garcia Reneses of ALBA Berlin, a dean of his profession and the architect of one of the best offenses in 7DAYS EuroCup history, is the Coach of the Year for the 2018-19 season. The 72-year-old Coach Aito, as he is known throughout European basketball, was chosen by Euroleague Basketball from among many deserving candidates after he led ALBA to the EuroCup Finals for the first time since 2010. Under his guidance, ALBA finished first in its Top 16 group and downed playoffs rivals Unicaja Malaga and MoraBanc Andorra to reach the finals. In his second season on the club's bench, Aito has put ALBA in records territory for offense. If its final series against Valencia Basket goes the three-game distance, ALBA will likely set EuroCup marks for most points scored and most assists in a season. Its current 22.5 assists per game rank third all-time and its 88.5-point average ranks eighth for a single season, with every team ahead of ALBA having played fewer games than its 21 so far. ALBA's 212 three-pointers made until now rank fourth all-time and its 42.0% accuracy from deep is the second highest ever for teams playing more than 18 games. 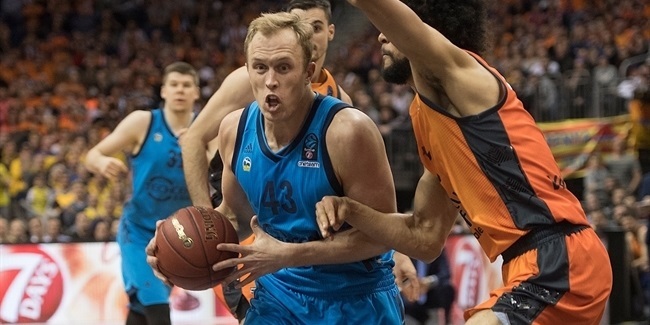 Despite just three players having participated in every game due to the team's many injuries, ALBA won 16 of them to continue fighting for EuroCup glory. For all that, Coach Garcia Reneses is a truly deserving choice for 2018-19 7DAYS EuroCup Coach of the Year. The Coach of the Year honor is part of an awards structure designed to recognize the finest EuroCup participants for their efforts throughout the season. Martynas Echodas of Rytas Vilnius was already named the 7DAYS EuroCup Rising Star Trophy winner for this season. 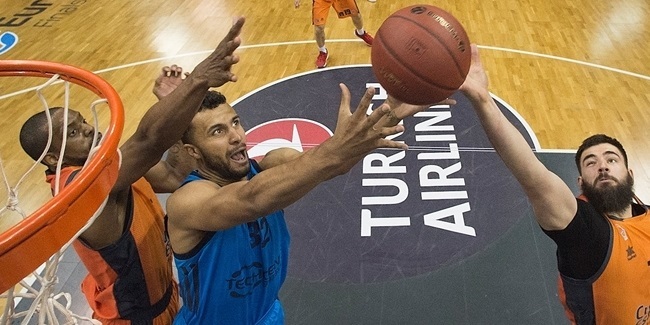 Fan voting and Euroleague Basketball's in-house experts will select the All-7DAYS EuroCup teams, as well as the 7DAYS EuroCup MVP. In his two seasons in Berlin, Garcia Reneses has led ALBA to four finals – two in the German Cup, last season's German League playoff finals, and now the EuroCup Finals – by letting his team play really attractive basketball. Star point guard Peyton Siva was out twice this season, missing 10 games, and backup playmaker Stefan Peno is out indefinitely, but Aito has found ways to make it work, using combo guard Martin Hermannsson as his floor general and giving youngsters Bennet Hundt and Jonas Mattisseck time to shine. A next-man-up mentality has allowed ALBA to thrive. After a last-second home loss to Unicaja in Game 1 of the quarterfinals, ALBA bounced back with a resounding 81-101 road win, becoming the first visiting team in European club competition history to score triple digits in Malaga. MoraBanc entered Game 2 of the semifinals on a nine-game home winning streak that ALBA snapped to sweep their series. ALBA scored 100 points or more in six games so far this season – a EuroCup record – by being loyal to its playing style: good scouting leads to good defense, and in turn to transition offense, where everyone must take any open shot available. And Coach Aito is doing it all with a very young team; Luke Sikma is the oldest player at age 29. Simply put, Garcia Reneses is one of the best coaches in basketball history. Other than his EuroCup Cup title with Joventut in 2008, Garcia Reneses has won three other European competitions: the Saporta Cup title in 1986 and the Korac Cup in 1987 and 1999, all with FC Barcelona. He also led Joventut to the 2007 FIBA EuroCup crown. Coach Aito is also an Olympic silver medalist, as well, having guided the Spanish national team to a close second place at the 2008 Olympic Games. Aito made his coaching debut in 1974 with Circulo Catolico of Badalona, Spain. He coached Joventut from 1983 to 1985, finishing as Spanish League runner-up in his last season there. Then began a 17-year stay at Barcelona in which he lifted the club into Europe's elite. During three different stints on its bench, Aito coached Barcelona to nine Spanish League titles, six Euroleague Final Fours and four Euroleague finals – in 1989, 1990, 1996 and 1997. He was chosen as the Spanish League coach of the year three times – in 1976, 1990 and 2006 – during a career that has now spanned five decades. More recently, Garcia Reneses coached Unicaja Malaga, Cajasol Seville and Herbalife Gran Canaria. He is best known for his work with promising young talents, having helped countless of them bridge the gap from prospects to bona fide professionals. Among the stars whose careers blossomed under Garcia Reneses are Juan Carlos Navarro, Pau Gasol, Ricky Rubio, Rudy Fernandez and most recently, Edy Tavares and Kristaps Porzingis. Garcia Reneses joined ALBA last season, at age 70, for his first professional experience outside of Spain. This season, 17-year-old Franz Wagner took part in 19 EuroCup games, proving that his coach's trust in young players remains intact. Garcia Reneses is the first person to win the EuroCup Coach of the Year award twice, after he also did so with Gran Canaria in 2015. Other previous winners were Oktay Mahmuti of Benetton Basket in 2009, Ilias Zouros of Panellinios in 2010, Aleksandar Petrovic of Cedevita Zagreb in 2011, Jure Zdovc of Spartak St. Petersburg in 2012, Fotis Katsikaris of Uxue Bilbao Basket in 2013, Andrea Trinchieri of Unics Kazan in 2014, Maurizio Buscaglia of Dolomiti Energia Trento in 2016, Pedro Martinez of Valencia Basket in 2017 and Sasa Obradovic of Lokomotiv Kuban Krasnodar last season.